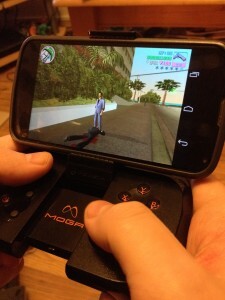 A decent bit of kit that every Android gamer should get their hands on. Mobile gaming for me has always been a little hit-or-miss. Every now and again you’ll get that addictive little gem that uses the touch screen really well, but they’re often shortlived and I lose interest really quickly. Games in general hold my attention more when they’re on a console – the genres of games available are more my thing… first person shooters, third person sandbox games etc. What I’m loving of late is the quality of some of the games being released on mobile platforms. There’s some great ports of old games like Max Payne and Grand Theft Auto: Vice City, and there’s also some really good new titles from companies like Gameloft bringing us the Modern Combat series, and official movie tie-in titles like Iron Man 3 and Thor: The Dark World. But with these titles the on-screen controls can often be tricky to master and frustrating if, like me, you have quite big fingers. Well the answer to this common problem is here – hardware controllers for your mobile. I’ve been testing the MOGA Pocket controller for Android devices recently, using it in conjunction with my Google Nexus 4 (They are also available for iOS now too). I really have to say that it’s an awesome device too… I’m honestly wondering how I played console-quality games on my phone without it, and I sure as hell can’t go back to the touchscreen now! As the name suggests, the Moga Pocket literally fits in your pocket – it’s a robust, well-designed bit of kit that fits snugly in your hand when you’re playing, and folds up when it’s not in use, and comes with it’s own leather pouch with spring-loaded collar for storage. 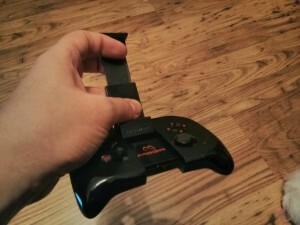 Running on two AAA batteries the Moga controller connects to your device via Bluetooth, and on first setup it creates a sync profile for future use. Once it’s synced you don’t need to go through setup again, but the initial connection can take a minute or so to link up on first startup each time you use it. Along with the controller itself, you’ll need to get the Moga Pivot App (you don’t strictly need it, but I’d advise it – you get app recommendations for a start, only showing you those titles that are Moga-enhanced, which is very useful). Once your controller is synced with your device, you can run the Moga-enhanced game of your choice, or you can use the controller within the Pivot app to select the game you want to play or download. Once your game starts, there’s no setup to use the controller, and there’s no settings to change. If you’re playing a title like Modern Combat: Zero Hour (which is amazing by the way), any on-screen controls are hidden by default when your Moga is connected. There is a slight delay between the controller and your movements in-game, but this is barely noticeable. If you’re expecting PC-quality responsiveness then you’ll be left wanting, but otherwise it’ll perfectly meet your needs for general gaming. In a word – absolutely. Let me elaborate a bit more though. Cost-wise the Moga Pocket clocks in at a reasonable £29.99. Most of it’s competitors are around the same price, but the drop in quality is substantially noticeable when you compare them. For a small bit of hardware that effectively turns your Android phone into an Nvidia Shield, it’s an absolute steal. To add to the value, you’ll also get a free download of Sonic CD and Pac-Man to wet your retro gaming appetite. 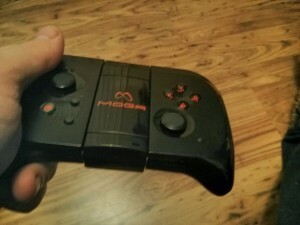 There are also a range of Moga controllers. 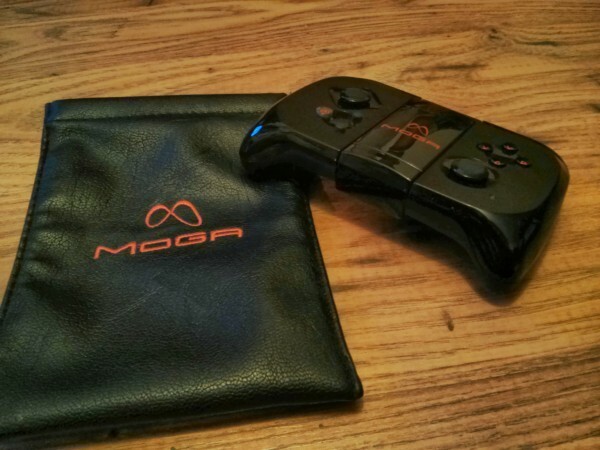 The Moga Pro is the next tier up, which offers a complete console experience, with two clickable analogue sticks, a D-Pad, a more rounded controller and a few more extras that make it worth forking out £43.99. The next two tiers allow for the charging of your mobile device and more. You can check out the full range of Moga’s controllers at www.mogaanywhere.com. For those of you readers not in the US, Amazon is probably your best bet at getting your hands on one. Now to the really important stuff – which titles support the controller, and are they any good? Well, there’s definitely a mix of quality when it comes to the titles available. But in case it sways you any – you’ve got both Grand Theft Auto: Vice City, Grand Theft Auto: San Andreas as well as Max Payne which are all stellar HD recreations of their console counterparts. Vice City runs beautifully… now where’s the hookers? For those of you that’re FPS fans, you have the aforementioned Modern Combat: Zero Hour – this is as close to Call of Duty on your phone as you can get, and it’s bloody good. There’s also the Sci-Fi shooter N.O.V.A 3, Zombie fests Into The Dead and Dead Trigger 2 as well as the retro classic Doom GLES. Racing nuts have titles like Angry Birds Go!, Need For Speed: Most Wanted, Asphalt 7 & 8 (these are great too – like Burnout) and Crazy Taxi. All of these titles are well worth your time, and sometimes money (not all of them are free downloads). However for all these great titles, you get some fairly crap ones. I tried out Tiki Racing, which is an attempt at a Mario Kart or LBP Racing kind of game, but unfortunately it fails. The Moga controls just end up being not sensitive enough, or oversensitive – there doesn’t seem to be any mid-ground. Out of the games I’ve mentioned, I’m going to give you a quick review of my favourite 3 titles with their pros and cons. To be honest, the first on the list you can probably see coming a mile off. The game I wasted hours, if not days of my life on when I played it on the PS2 is faithfully recreated for the mobile market. This is a glorious HD remake, and nothing is left out. 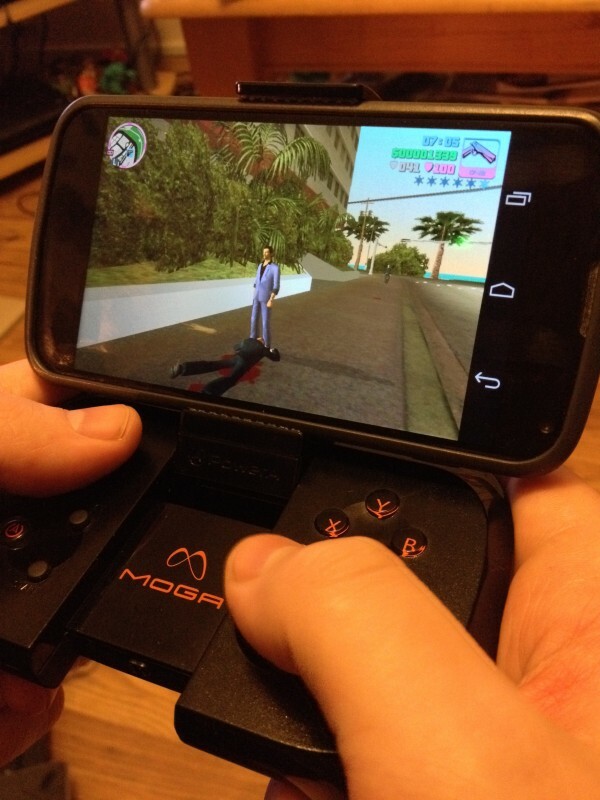 To be honest, if you play games on your mobile, and you don’t own this yet… there’s something wrong with you. All the cut scenes and voices are there, even the little things like bumping into someone on the street and they start shouting at you. The gameplay is just as awesome, as well as the soundtrack (yes, all the radio stations are present too). You NEED this game. Cons: Not many! The draw distance isn’t as good as on console… yes I’m clutching at straws a bit! 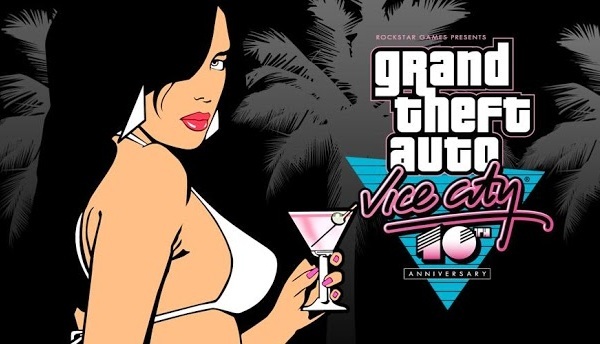 Get Grand Theft Auto: Vice City on the Google Play Store HERE. This is by far the best mobile first person shooter game on the market at the moment. If you like Call of Duty or Battlefield, and are looking for a similar experience on mobile, then look no further. Excellent graphics and gameplay, a robust online multiplayer system, a good story (though a little short), and some great game features make this a must-own in my opinion. 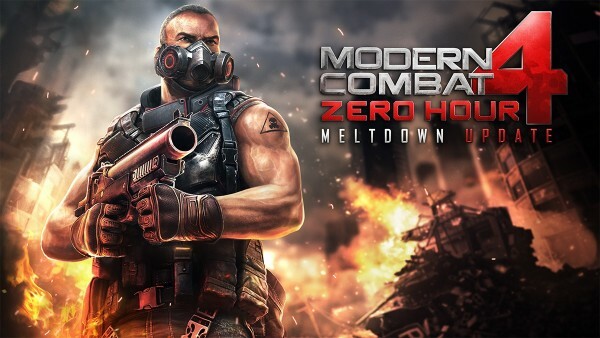 Get Modern Combat: Zero Hour [Meltdown Update] from the Google Play Store HERE. I like racing games, but there’s only a couple that’ve really got my attention. Burnout: Takedown is my absolute favourite, and Asphalt 8: Airborne makes me grin as much as Burnout did. Ridiculously fast, gorgeous to look at, and some really nice cars. Plus… it’s the only free title of my top 3. 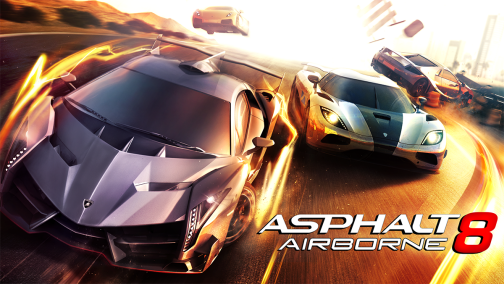 Download Asphalt 8: Airborne from the Google Play Store HERE. Bonus – There’s some movie tie-in titles available that support the Moga controllers too and they’re not too shabby either. Check out AVP: Evolution and The Dark Knight Rises. As far as bad things about the controller go, there really is not much for me to complain about. The fact that it connects through Bluetooth means that this thing will destroy your phone’s battery. However the battery life on the controller itself is really surprising. I’ve played for a couple of hours daily for nearly 2 weeks straight… then played on and off over the course of a month, and I haven’t had to change them yet. My bloody PS3 controllers don’t last that long! 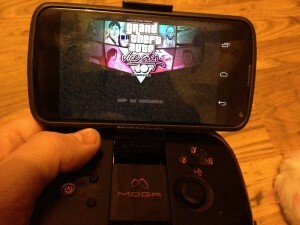 I never thought I’d enjoy playing games on my phone so much as I do with the Moga controller. There’s still a few titles that just suit the touch screen better (Marvel Puzzle Quest etc), but for the rest it’s perfect. I never thought that I’d be able to play games like GTA or Call of Duty on my mobile and enjoy the experience, and prior to getting hold of this controller I didn’t. This is the main reason I think one of these controllers is essential buying material. If you’re a gamer of any kind, you should get one. I’d recommend the Pocket for the budget experience, but if you don’t want your phone dying while playing, splash out on one of the Moga Power controllers instead. You definitely won’t be disappointed.